One of the lesser-spoken-about areas of the world is the Balkan Peninsula. 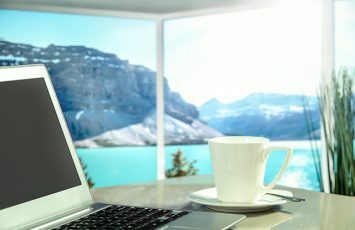 Countries like Montenegro, Albania, Bosnia and Herzegovina, Serbia, Slovenia, and Romania have kept a more or less quiet profile in the tourism news and media. 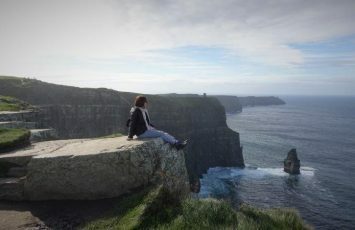 However, the truth is, these countries are waiting for you to discover their plentiful indoors and outdoors activities, their buildings and cultures spanning centuries and even sometimes going back to the B.C.’s. 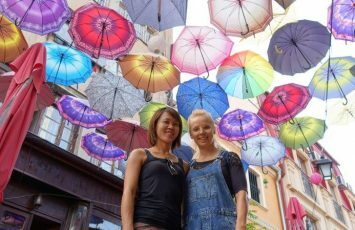 Continuation of this series of articles on our 50 Days 15 Countries Balkans trip – in this article, you will learn about Macedonia and its capital city of Skopje, including the insanely good rock climbing and hiking available in the area. Let’s get started! Agness and I at the Vardar River in Skopje. Just beautiful. The Republic of North Macedonia used to be a part of the giant powerhouse Yugoslavia until it gained its independence in 1991. This hidden gem of a country shares borders with five other countries: Albania, Greece, Kosovo, Serbia, and Bulgaria. Only in February 2019, has the renaming of the country been resolved. Tumultuous and varied, this region hosts an array of past kingdoms, such as Paeonia, the Persian Empire, the Romans, Byzantine Empire, Ottomon Empire, and Serbian rule. 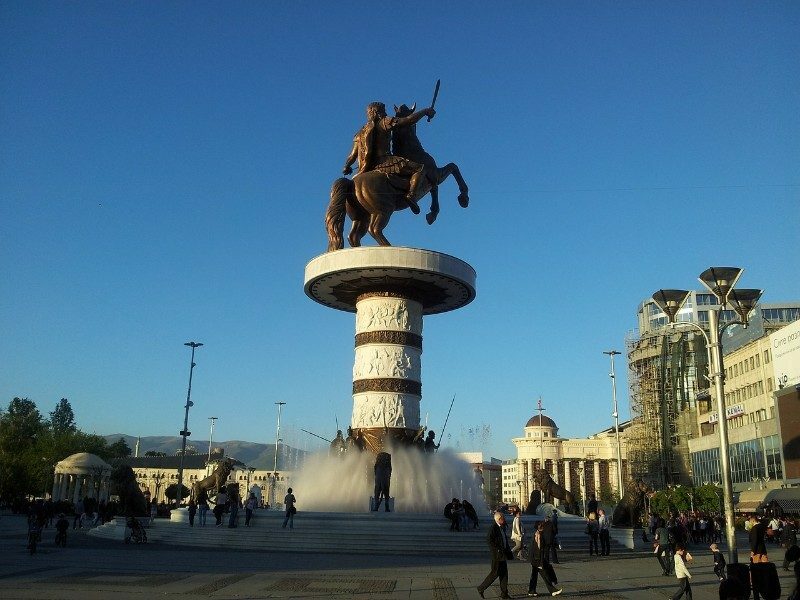 Alexander the Great stands tall in the square of Skopje. Since 4000 B.C., the region of Skopje has been home to tribes and communities of people. Since this time, the city has changed its name from Skupi to Justinijana Prima to Skopje to Ushkup before returning to Skopje. 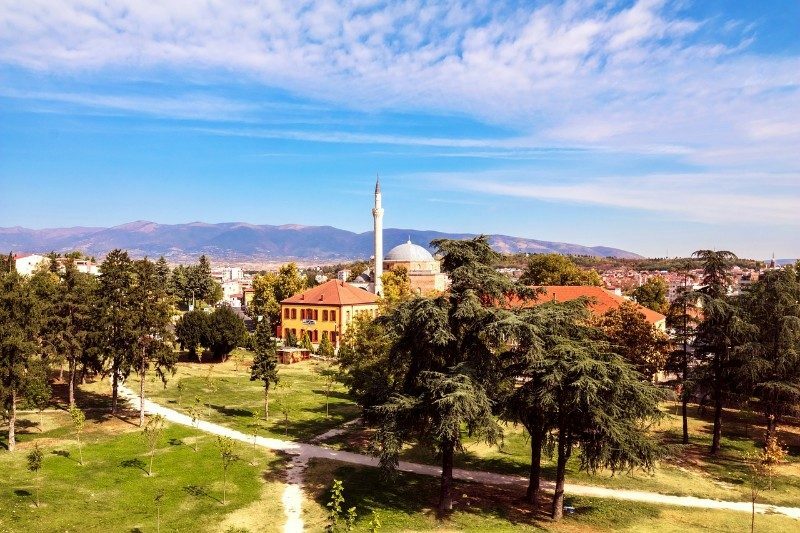 Due to its convenient location along the River Vardar, this city has thrived for millenia. Enjoy the ancient city of Skopje with its monuments and mountains. Much like Nero and Rome from the ancient times, in 1689, the Austro-Hungarian general Piccolomini burned Skopje to ashes, and the fire lasted for days. Earthquakes in the 16th and 20th centuries also destroyed Skopje, which was once the richest city in the Balkans. 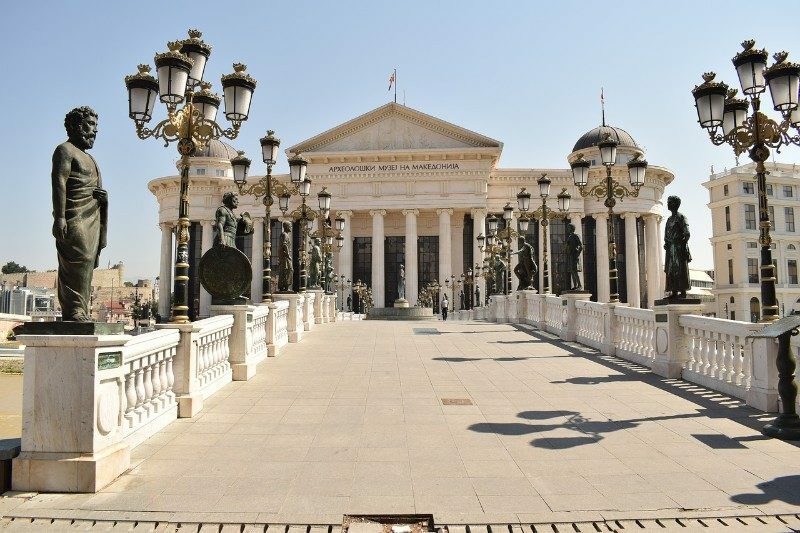 The changing of authority, coupled with its strategic location between countries and involvement in both world wars, makes the city of Skopje you see today teeming with culture, life, and history. The rock climbing in Macedonia offers many routes for climbers from a range of skill levels. When I was there, I was blown away by the stunning lush scenery. 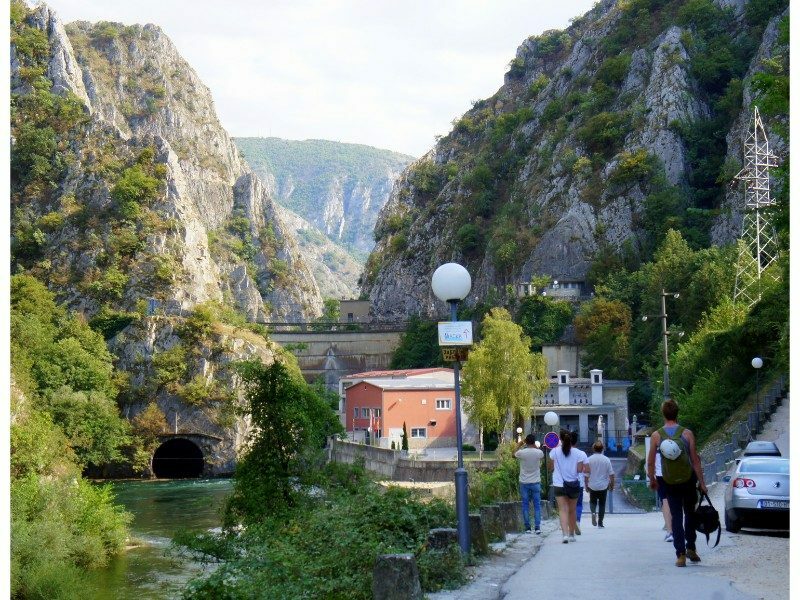 Skopje is not often talked about; however, the crags at Matka and Kadina with its beautiful limestone and granite routes is really lovely. Cez and I enjoying the sights and sounds of the outdoors and rock climbing in Macedonia. 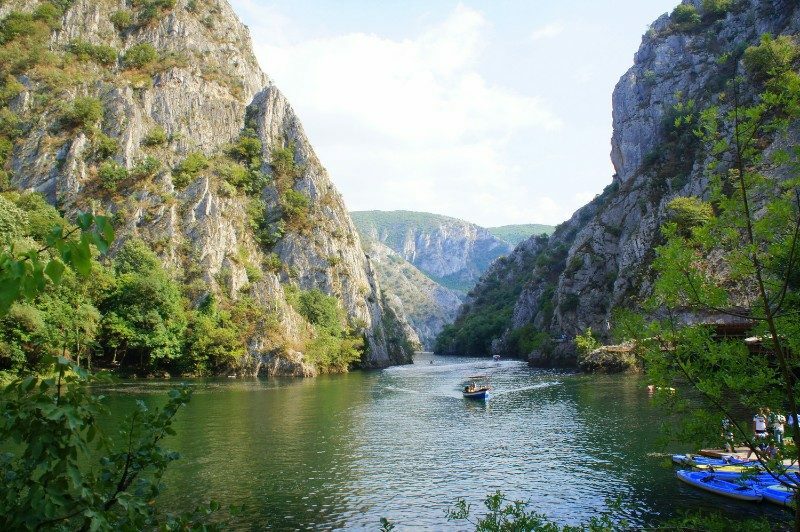 Just one and half hour’s drive from Skopje sits our first rock climbing locale in Macedonia – Matka. Perfect for traditional and sport climbing, the routes consist of limestone. The area of Skopje prides itself in its history of rock climbing. Beginning in 1980, sport climbing hit the scene and has existed here ever since. 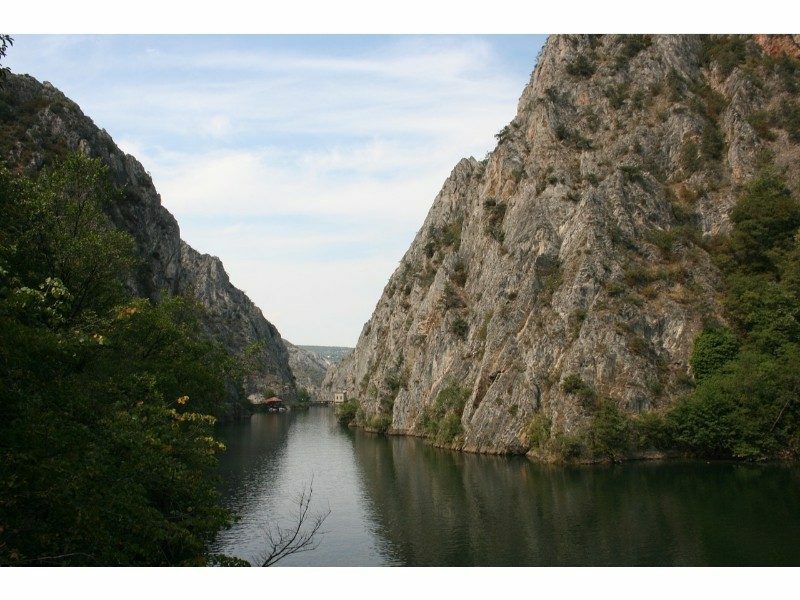 For example, in Matka, visit the very first route bolted in 1990, “Jumbo Jet”. The routes in Matka are situated looking over a dam, lake, and natural wilderness region. It is absolutely stunning. The unbelievable views of Matka and the river that runs through it. After Matka, in terms of proximity to Skopje, comes Kadina. Just 34km from the capital city of Skopje, this location is also situated in the beautiful terrain of Macedonia. Facing south with plenty of sunlight, climbing is best done from October to May. Aside from the scenery and the tucked-away-paradise vibe, the routes are well-bolted and you will require a 60m rope to get the job done. 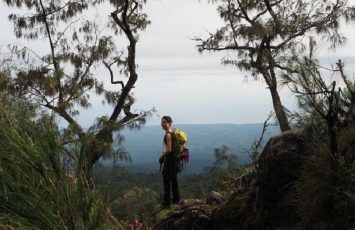 Having just been discovered in 2013, Kadina offers something of a newfound area for rock climbing fanatics! Similarly, whether you would like to explore other rock climbing options, or maybe you simply also enjoy indoor climbing, check out these indoor climbing gyms in Skopje! First up is Boulder Bar, located directly within Skopje. Given its name, they primarily specialize in bouldering and bouldering walls! Tickets range from daily, monthly, annually, and packages of 10. I would recommend the daily or package of 10. 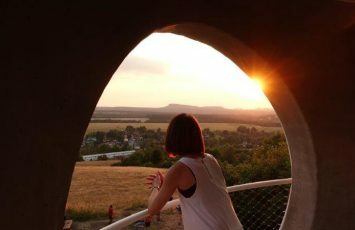 With 130 square meters of space and a focus on cutting-edge bouldering techniques and trainings, Boulder Bar is a perfect place to visit. Secondly, Climbing Stadium KARPOS offers three lead climbing walls and one bouldering area. Climbers of all skill levels love it due to its loaction in Skopje, and you can enjoy any of the 50 routes and many bouldering lines. 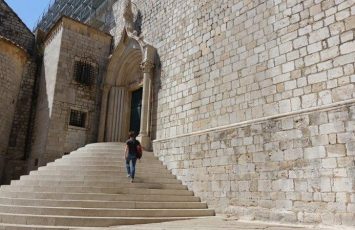 Instructors make themselves available for training, and you can take a nice shower afterwards and head to the city center for more exploring! From climbing gyms to mountains to gorgeous architecture, Skopje has it all. Can you spot Cez? Skopje offers visitors such as you and me another exciting opportunity to be outdoors. 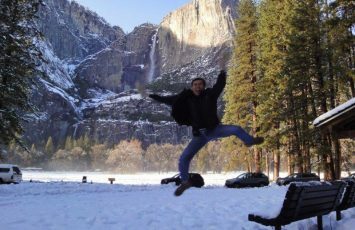 Yes, the close cousin of rock climbing: hiking! 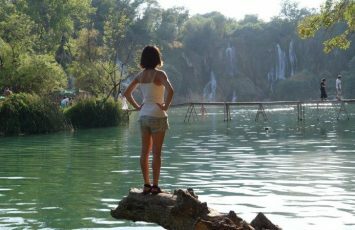 The hike from the Millenium Cross to Lake Matka features 20km of rich, lush, inviting Balkan landscape. I can’t help but continue commenting on the beauty of this area. I was completely taken aback by its topography and foliage, nestled within the mountains. Views like these are all over Skopje, and you can enjoy them while adventuring in the great outdoors. Likewise, there is no need to just isolate yourself to one area. At just 25,333 square kilometers, Macedonia opens itself up for exploration and adventure. For example, Shar Planina, Korab, Jakupica, Pelister, and Bistra traverse the landscape of this Balkan country and all feature sprawling views, green grasses, mirror-like lakes, jutting mountainsides, and clear blue waters. This is an activity not to be missed! Skopje, Macedonia, and the Balkans, with peaceful views like this, will sweep you off your feet. Lastly, are you interested in what else you can do during your breaks from the elevation and the crags? That’s easy! Visit the ancient Stone Bridge and Art Bridge receive a glimpse of the history that we mentioned about Skopje and Macedonia. What’s more, the Art Bridge leads up to the National Archaeology Museum. Next, the Kale Fortress offers up history from the 500’s AD as well as remnants of Roman rule. Lastly, visit the Mother Teresa Memorial House, and shop in the Old Bazaar for incredible memorials to times of old and teeming with culture. 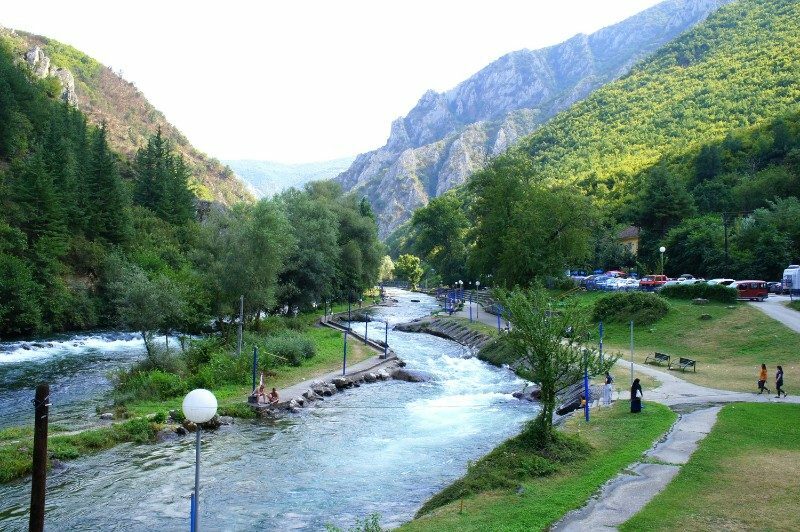 As you can see, the Balkan region sits with its arms outstretched, welcoming you with its lineage of rulers, its stories of important cultural events, and last but not least, the great outdoors! With the elevation of the mountains, the limestone and granite walls, and the well-traveled rock climbing routes, Macedonia will surely impress. The beautiful Art Bridge in Skopje, leading up to the National Archeology Museum. Rock climbing lets us explore places we would have never otherwise visited. It transports us to a rich world filled with cultures different from our own. When we learn about these exciting places, we expand our ability to relate to others, as well as staying fit and healthy along the way! What else did I miss out about Skopje? Yes it was a great experience Anshula, to know more about the beginning days of Mother Teresa.